Membership matters. Just because you don't have dental insurance doesn’t mean you can’t get the dental care you need. Often, paying a monthly premium for dental insurance is more expensive than having a discount plan. You could be paying a lot for coverage that you'll never use in that year. 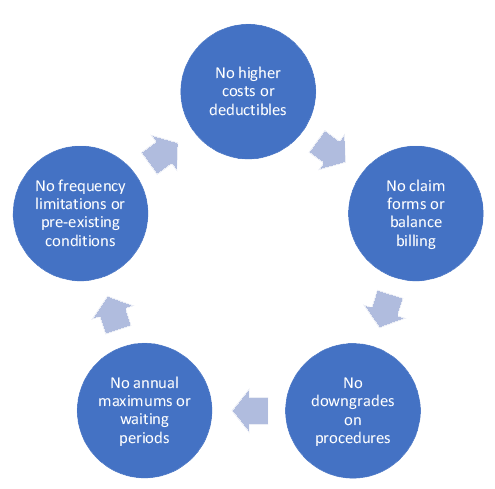 In addition, there's a complicated insurance mine field of waiting periods, plan limitations and exclusions, missing tooth clauses, pre-existing conditions clauses, downgrades, deductibles, and more. Once you become a member the savings begin immediately. Simple and easy. With a Legacy Dental Plan membership, receive discounts from 30%-100% for various dental services as you need them. This membership plan includes all necessary examinations, imaging and x-rays, and discounts on basic and deeper professional cleanings, fillings, and major procedures such as crowns, bridges, dentures, implants, and even cosmetic dentistry! All this for a low annual membership fee. What’s more important than what’s included, is what’s NOT! 2 “healthy mouth” visits, includes a professional basic cleaning*, examination, all necessary imaging and x-rays, and fluoride* treatment for $89 per visit. Savings? The above services without this plan could cost over $900 for the year. This plan helps you receive the treatment you need at a more affordable rate. Many times, the benefits of this plan are far better than a plan through COBRA or an individual plan you can purchase on the open market. The “No Insurance? No Problem” Legacy Dental Plan. You and any family member without any dental plan that do not have dental benefits or dental insurance of any type are eligible. You may enroll yourself, your spouse, and dependents up to age 17 on your family account. Dependent adult children 18 and older may enroll with their own account. Description - This is an annual reduced fee dental plan that allows individuals and families to receive quality dental care from Legacy Dental Group for a percentage off the office’s usual, customary and reasonable (UCR) fees. This is not an insurance plan. No claims are filed and no payments are made to any other healthcare providers. Legacy Dental Group is not a licensed insurer, health maintenance organization, or other underwriter of health services. This plan may not be combined with any other offers, discounts, insurance, discount plans or advertisements. Low Annual Fee -Annual membership is $50 per person, per year. Once the annual membership fee is paid, the dental benefit membership program is active for 12 consecutive months from the date of enrollment. You have the right to cancel at any time by submitting a written request. However, this plan is non-refundable once any service is received. No refunds for services prior to membership to this plan. This plan is offered in this office only. Any referrals to a specialist for treatment are not included. Some specialist offices we refer to offer their own discount plan for uninsured patients. 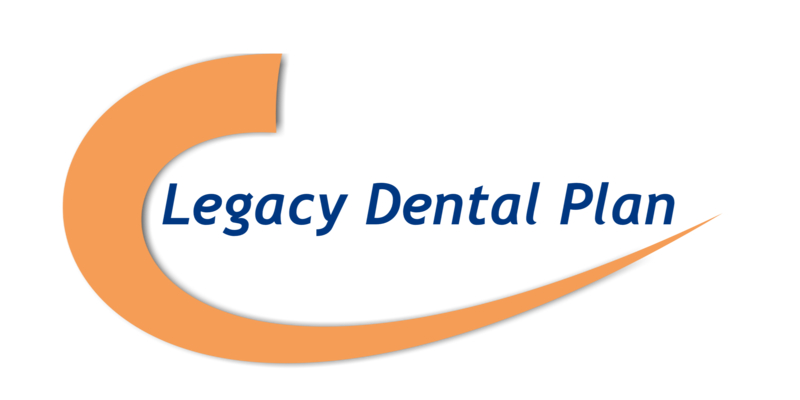 The Legacy Dental Plan is for any patient who does not have dental benefits or dental insurance of any type. This plan cannot be used as a “secondary” plan to a current dental benefit or insurance plan of any type, including, but not limited to, any ACA conforming medical plan with limited pediatric dentistry benefits up to age 19 for any covered life age 19 and younger. Renewal fee of $50 annually is due on or before the renewal date to ensure continuity of the membership. The plan begins once the membership fee is paid and is active for 12 consecutive months and expires on the anniversary date. All patient fees are collected at the time of service. A treatment plan will be presented and signed for approval by the member before any treatment is started. More involved procedures with longer appointment times may require a non-refundable deposit for scheduling treatment. Example: sedation dentistry and other major procedures. “Healthy Mouth” visit offer with a basic professional cleaning is only available when *no periodontal disease is present. *Foam fluoride is included. Fluoride varnish treatments for adults available for an additional fee when recommended.